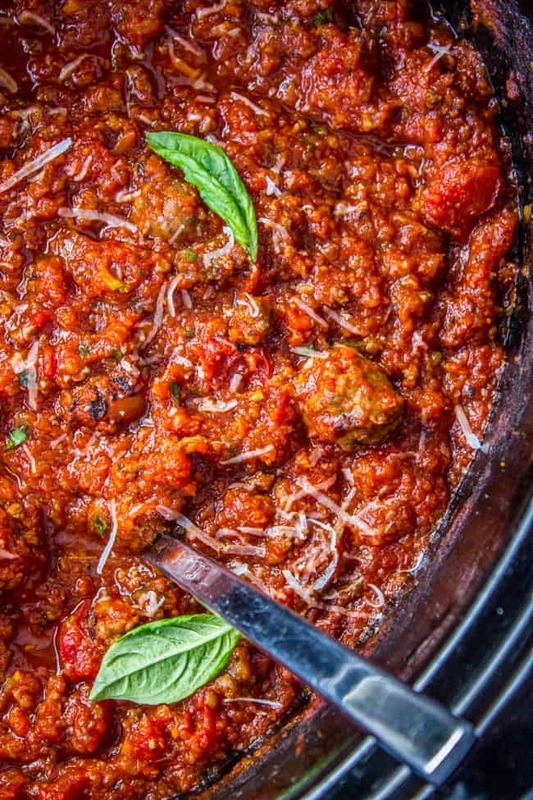 This slow cooker spaghetti sauce has zucchini and carrots hidden in it! Also chunks of sweet Italian sausage. 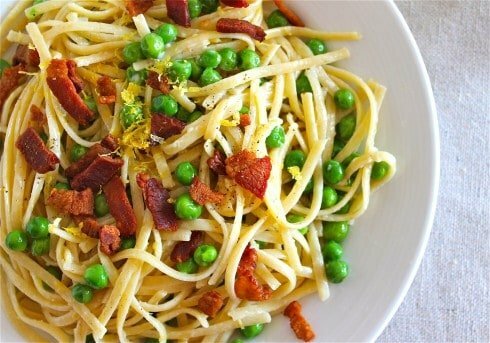 It is so flavorful, you hardly need the pasta! 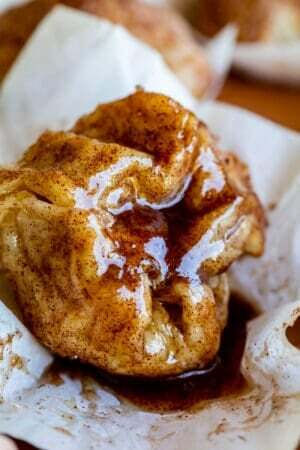 (I said hardly..but let’s be real) Perfect for making a huge batch and then freezing some for a rainy day. 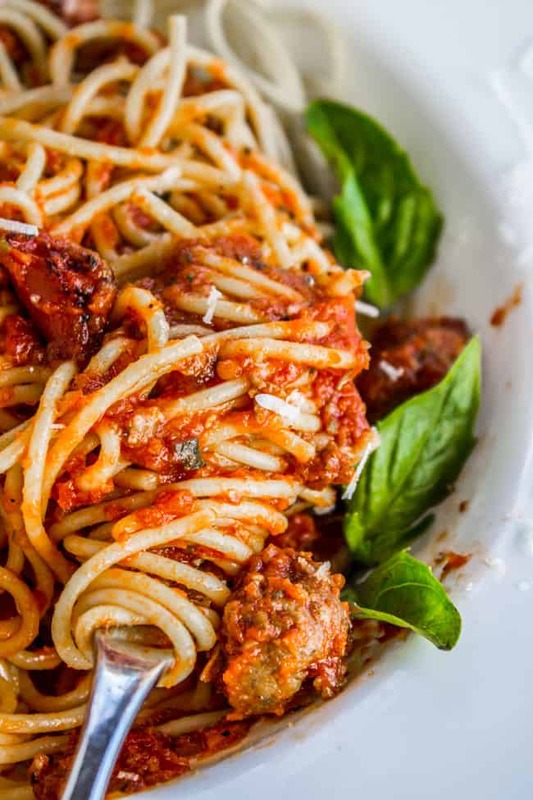 Actually, I nod my head and smile and think to myself, “I have the best job everrrrrrrrr.” Because the only math I have to do are recipe adjustments that result in things like Chocolate Cake, or Raspberry Rolls, or this delicious spaghetti sauce. If my math teachers in high school had given me cupcakes for success in Algebra, I would have stuck with it a lot longer. 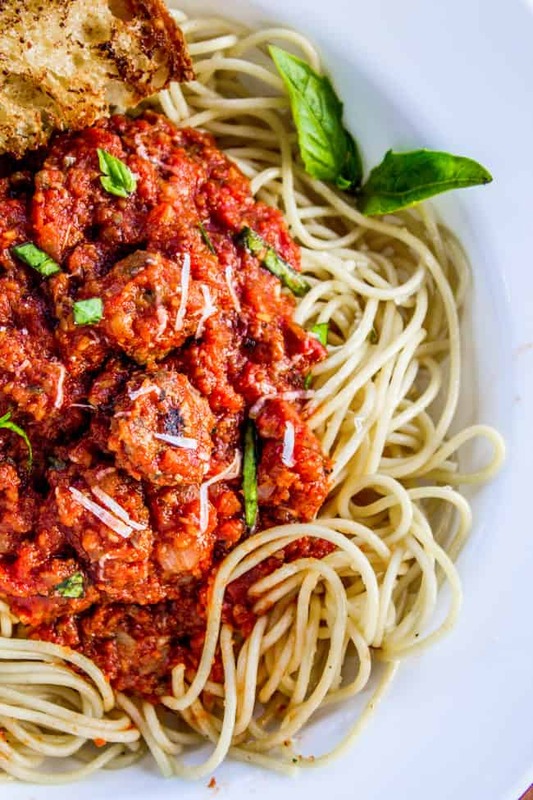 Do you guys have a spaghetti sauce you love? True confession: I hated spaghetti as a kid. But now that I’m older and can call it “pasta,” I like it a lot more. Normally I am not into meat sauce. But I like this one because it’s not just ground beef: there are chunks of sweet Italian sausage in there! It’s almost like there are mini meatballs in the sauce. There are also veggies! A couple carrots and a zucchini. The carrots add some of the sweetness that is necessary to round out the acidity of the tomatoes. It doesn’t taste like carrots and zucchini. It just tastes like amazing meaty spaghetti sauce. My other secret is Fire-Roasted diced tomatoes. Have you tried those? SO good! I love the depth that it adds. Normal diced tomatoes will work fine if you can’t find them. And one more tip: If you spray your tupperware with nonstick spray before storing your sauce, then it won’t stain. This makes a big enough batch that you could potentially save half of it and freeze it for a busy day. One batch of this sauce will be enough for about 2 pounds of spaghetti. PS!! 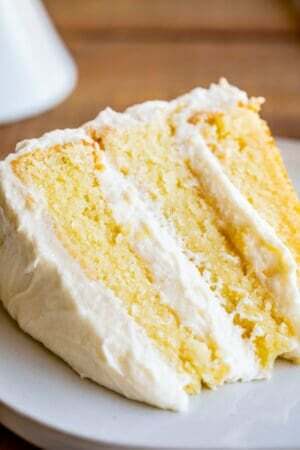 I keep forgetting to tell you guys–I made a “Top 1o Recipes Ever” page. I’ll keep it updated with the top 10 recipes on The Food Charlatan, according to traffic. You can find it in the menu bar at the top of the site or CLICK HERE! 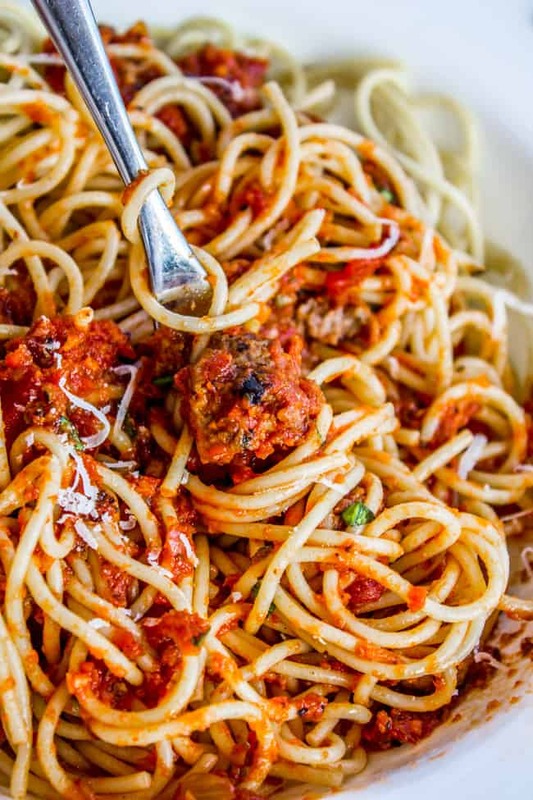 Are you making this spaghetti sauce? Snap a photo and tag #TheFoodCharlatan on social. I’d LOVE to see it! Remove the casings from the sausage and chop into bite-size pieces. Add to the pan and sear the sausage. 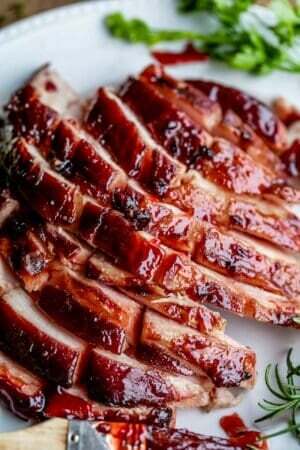 Once it is brown (it doesn't need to be cooked through), lower the heat to medium. Use a wooden spoon to move the sausage over to one side of the pan. Add the onions, garlic, and ground beef to the other side of the pan. Break up the ground beef, avoiding the sausage (you want bigger pieces of sausage). Cook, stirring occasionally, for 6-8 minutes, until the ground beef and sausage are no longer pink and the onions are soft. Add the wine to the pan. Cook for another 2 minutes or so until the wine has cooked down some. Scrape everything into a large crock pot. 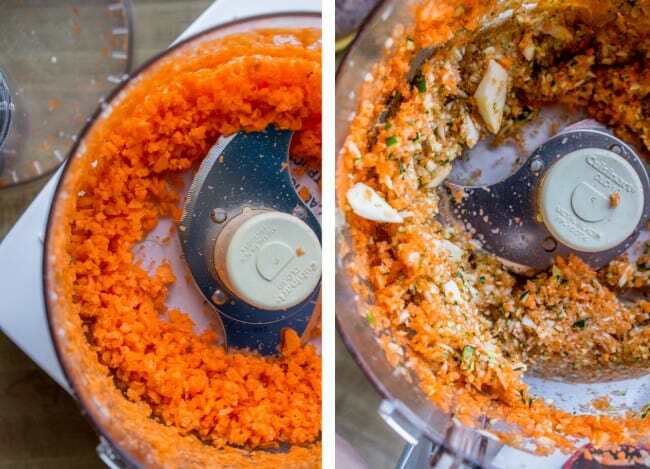 Meanwhile, use a food processor to chop the carrots. Get the pieces pretty small, but don't do it so much that it liquifies it. I left the carrots in the food processor while I pulsed the zucchini as well. See photos. Add the veggies to the crock pot, along with the tomato sauce, tomato paste, and the fire-roasted diced tomatoes. Add the Italian seasoning, the thyme, basil, oregano, brown sugar. Add the bay leaves, cayenne pepper, salt, and pepper to taste. Stir everything together, put on the lid, and cook on low for 6-8 hours, or on high for 3-4 hours. Garnish with fresh chopped basil. Makes about 9 cups. * Normally I chop onions and garlic by hand, but since I will need it for the carrots and zucchini, I quartered the onions pulsed them in the food processor, along with the garlic, which I threw in whole. **You can use chicken broth or beef broth or water. 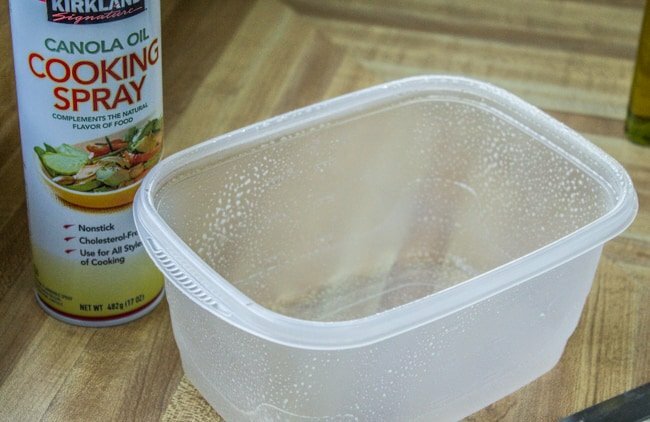 Store leftovers in a tupperware that has been sprayed with nonstick spray. 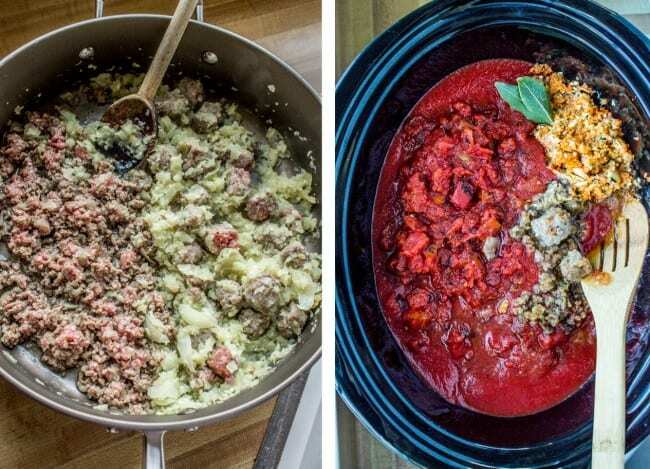 On the left: I have the ground beef on one side of my pan so that I can break it up, but have the sausage chunks on the other side so that they remain as little nuggets of goodness. Store leftovers in a tupperware that has been sprayed with nonstick spray. It makes a huge difference! 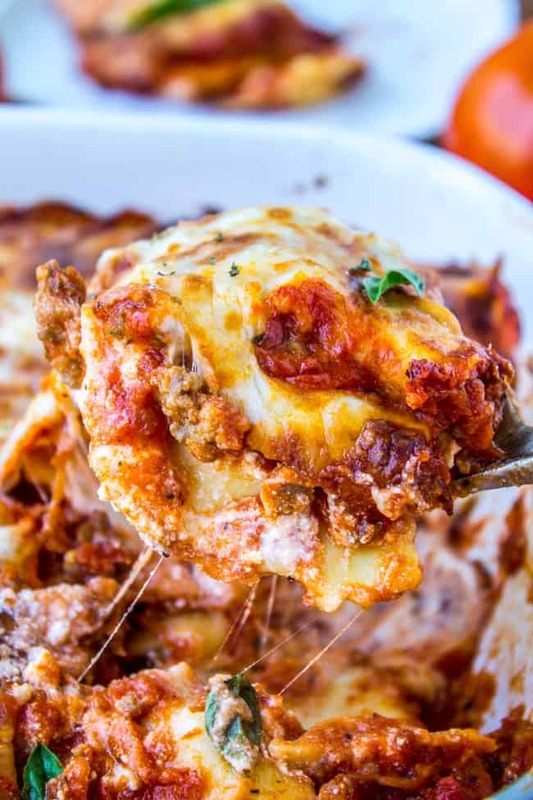 Easy Cheesy Ravioli Lasagna: this is sooooo easy. 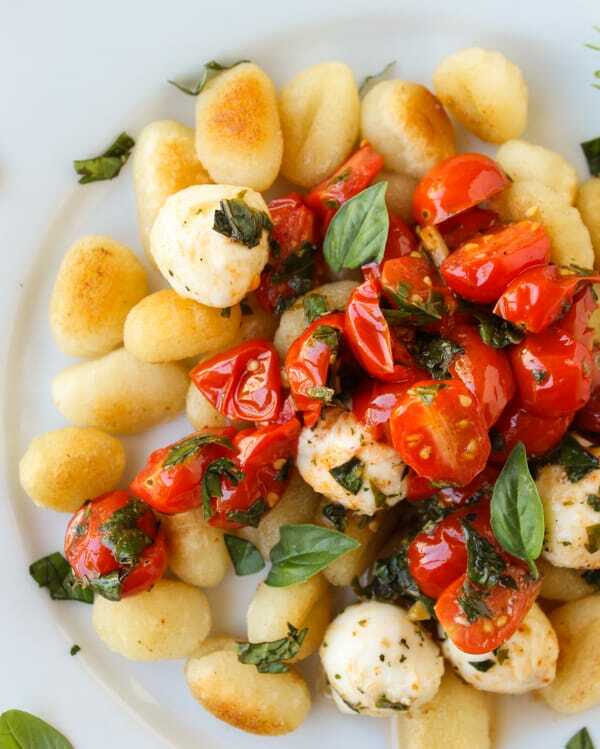 Easy Caramelized Gnocchi with Cherry Tomatoes and Mozzarella: this is a FAVORITE around here. 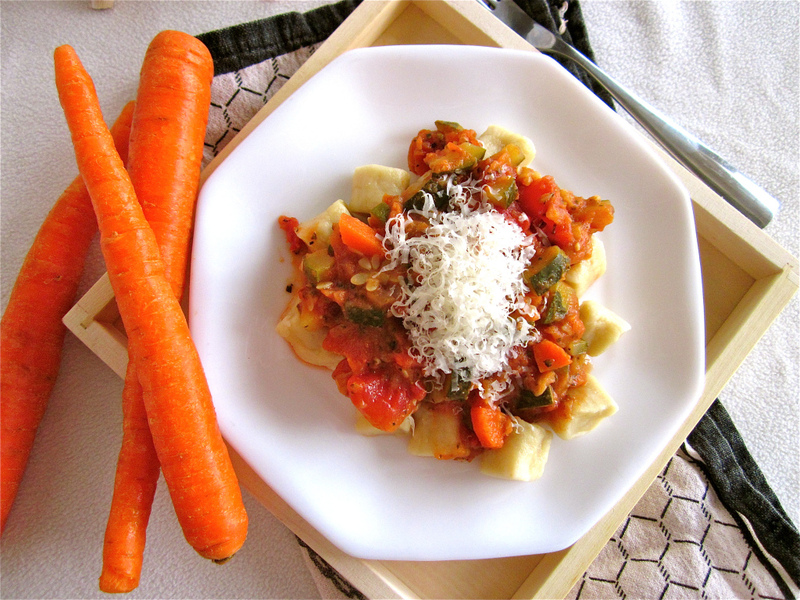 Gnocchi with Carrot and Zucchini Red Sauce: this is an old recipe from my brother Nate. It’s so good! 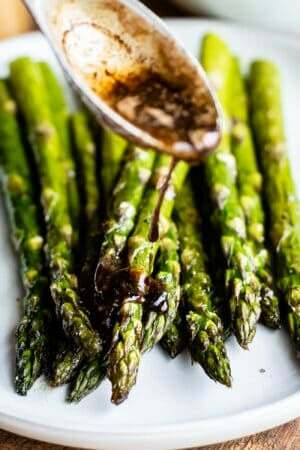 Other sauce recipes you might be interested in! 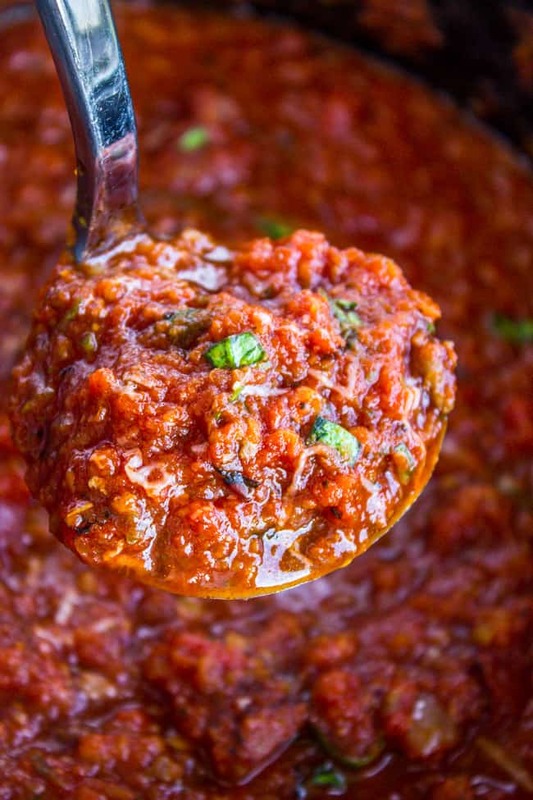 Hands down, this is the best spaghetti sauce I have ever had or made. Skip the spaghetti ad just eat the sauce! Yummy! I get rave reviews whenever I make it. And it’s not complicated or time consuming. Thank you for sharing this! i’m so glad you like it Sheli! I agree, you could almost skip the pasta!…almost ;) Thanks for the positive review! I’ve just added the bay, cayenne, took one taste, and said ohh, this is gonna be good! I’ve missed making your recipes, and you; I looked up your spaghetti and voila, PERFECTION! 3. Used jar Silver Palette San Marzano Marinara & 28 oz can Muir Glen Fire Roasted crushed tomatoes. 5. Used 3 mild, & 2 hot NY link sausages-thanks for casing removal tip! 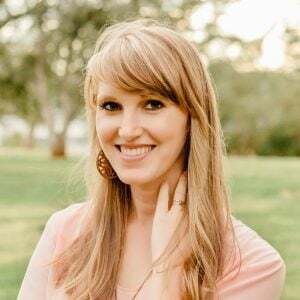 Ooh this sounds amazing Jana! Great idea using fire roasted tomatoes, I’m obsessed with them! It sounds like your technical difficulties turned out pretty fabulous :) I’m so glad! Thanks for leaving a review, I love hearing from you!! (He usually does not like spaghetti) Used the Bucatini and some linguini pasta I had. Don’t forget to grate the parmasean cheese on top, yum! I’ve prepared this recipe twice and each time it was delicious. My second time preparing it I added mushrooms and it was even better. Um, cupcake math needs to be introduced in all high schools ASAP. I always hated math — now I know why! It never resulted in anything as delicious as this! This sauce looks so good. And I really like that you make it in the slow cooker. I’m just imagining how good it must smell as the day goes on. Yum! That is so adorable that Truman said “two halves”!! He’s a smart cutie pie!! 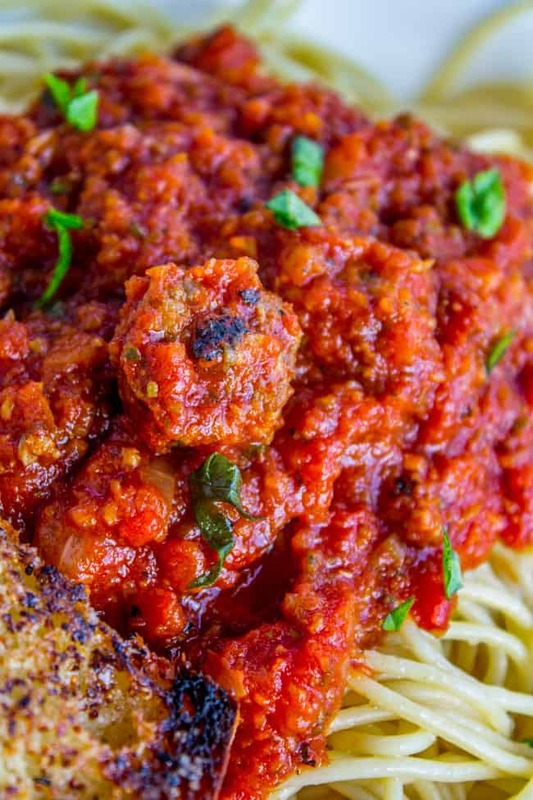 I want ALL of this meat sauce and an extra side of meatballs, please! Having been around Truman in real life many times, I can picture him doing that and how crazy cute he is. You know he’s the teacher’s favorite. And now I want spaghetti for dinner. Math is infinitely more rewarding in the kitchen for sure! And whoever discovered fire-roasted tomatoes hit the flavor jackpot. I’ll have to delve into my stockpile from Costco soon and try your sauce! Woah! Now that’s one awesome sauce! I love that you have hidden veggies in it and all that meat! My family would devour this in a heartbeat! And I hear ya on cupcakes in math class…I probably would have paid attention a whole lot more that way!! !